MOLLY MAID of Lansing welcomes you to our local cleaning company! As the Top of the Town award winner for 5 consecutive years, our Lansing house cleaning company provides high quality cleaning and great customer service to our residential cleaning customers. We’ve been cleaning the homes of residents in East Lansing, Okemos, Grand Ledge, Dewitt, Haslett, Holt, Charlotte, and the surrounding greater Lansing area for 20 years. Why not choose the best residential cleaning company with the best cleaning professionals in the business? Our Lansing maid service will handle all of your home cleaning duties so you don’t have to lift a finger. From dusting your living room knick-knacks to scrubbing your bathroom, we will discuss your specific cleaning needs and develop a cleaning solution that is designed specifically for your home. In addition to regularly scheduled house cleaning, we also offer move-in and move-out cleaning, and one-time deep cleaning service. Give us a call today for quality maid service you can trust! We appreciate our customers and thank you for your continued support. 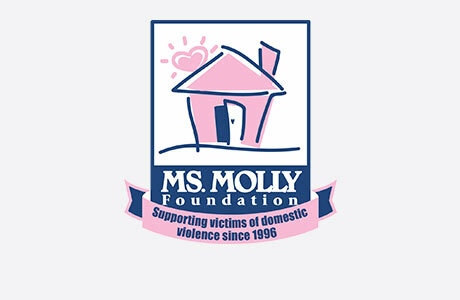 We think it’s important to give back and like to do so by supporting the Ms. Molly Foundation, which is an organization that supports victims of domestic violence. If you have additional questions about our Lansing maid services, please feel free to give us a call. Request a free in-home estimate and learn why your local Molly Maid is the most trusted name in home cleaning. What do you charge to provide cleaning services in a home? The cost of the cleaning is dependent on many factors including the size of the home, cleaning schedule, etc. Give us a call today and we will discuss your cleaning needs and provide you with a free estimate. Are your employees insured and experienced? Yes. Our employees are professionally trained, experienced, and have the proper insurance to clean inside your home. We can get you on the cleaning schedule as early as the end of this week or beginning of next week.